The next review on Blank & Son’s will focus on a 3 ounce/85 gram bag of their Texan Spirit flavor. 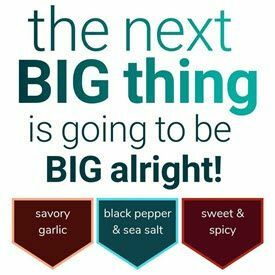 It is described as having crushed red pepper, cracked black peppers, and some of the country’s hottest peppers. This jerky was graciously submitted for review by one of the owners, Damon Blank. 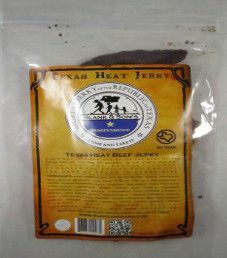 The next review on Blank & Son’s will focus on a 3 ounce/85 gram bag of their Texas Heat flavor. 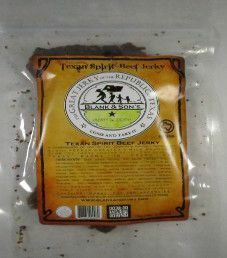 This jerky was kindly submitted for review by one of the owners, Damon Blank. The next review on Blank & Son’s will focus on a 3 ounce/85 gram bag of their black peppered flavor. 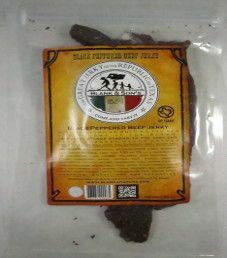 This jerky was graciously submitted for review by one of the owners, Damon Blank. The first review on Blank & Son’s will focus on a 3 ounce/85 gram bag of their Our First Beef Jerky flavor. It is their original flavor, and the base for their other three flavors. 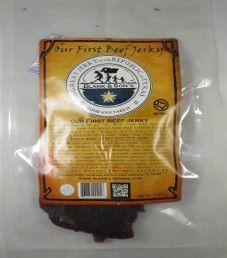 This jerky was kindly submitted for review by one of the owners, Damon Blank.